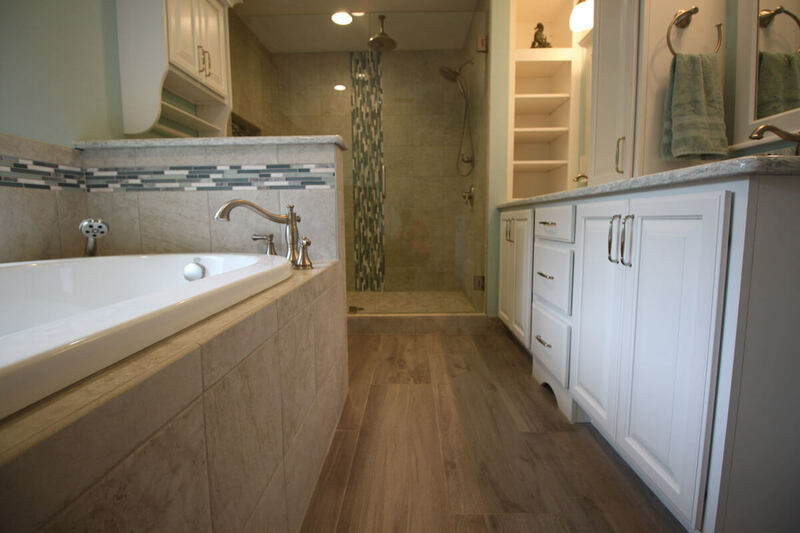 Tiles and Marble and Hardwood, Oh My! 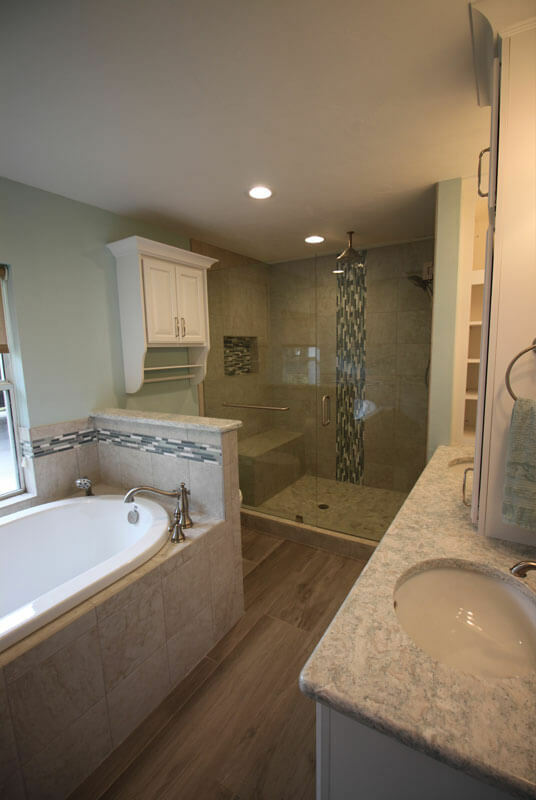 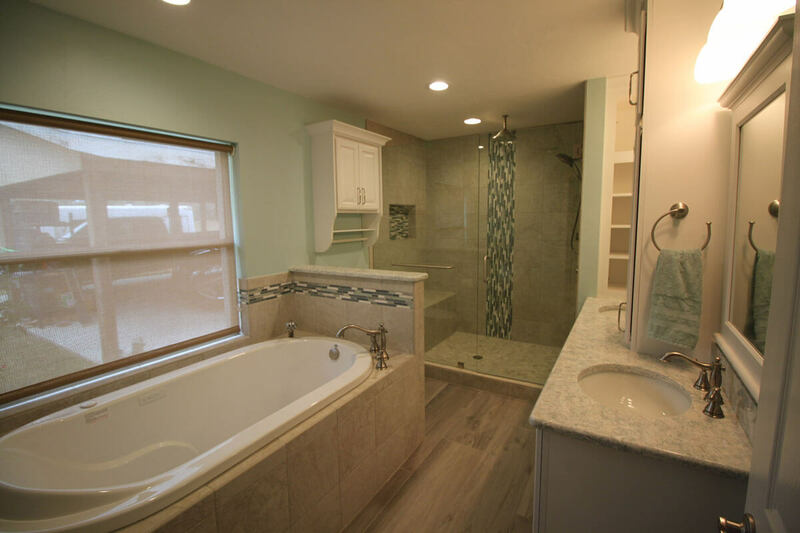 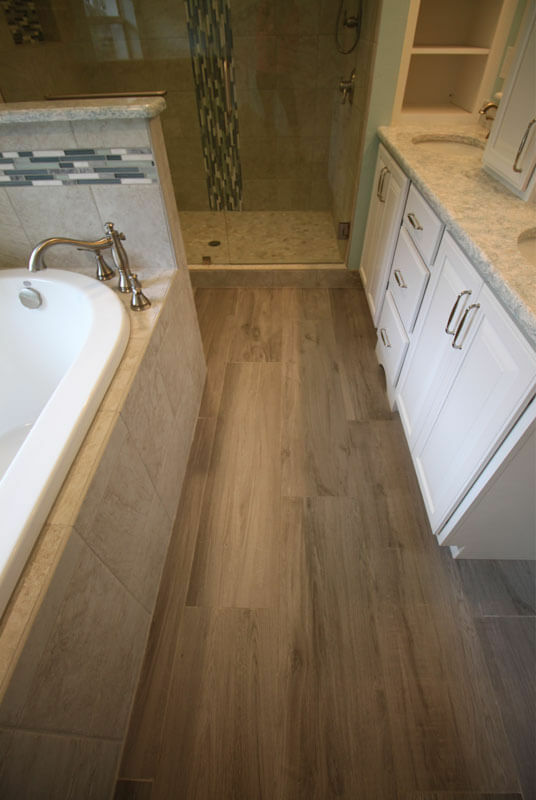 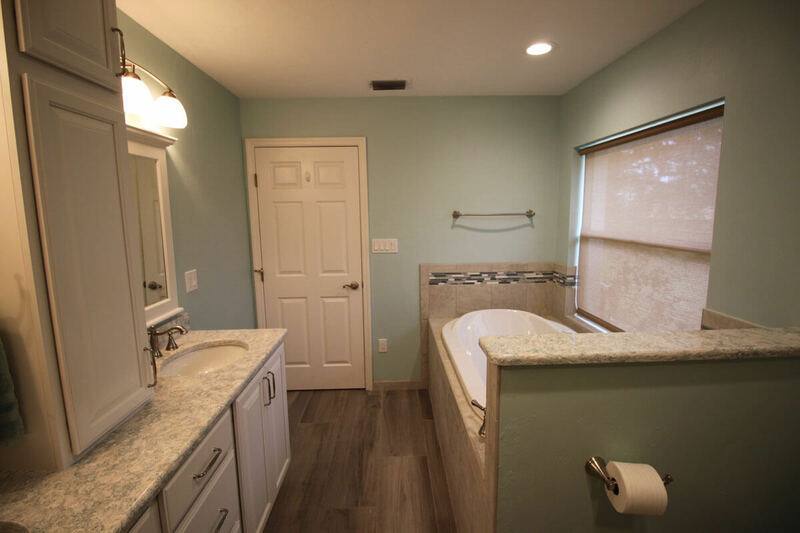 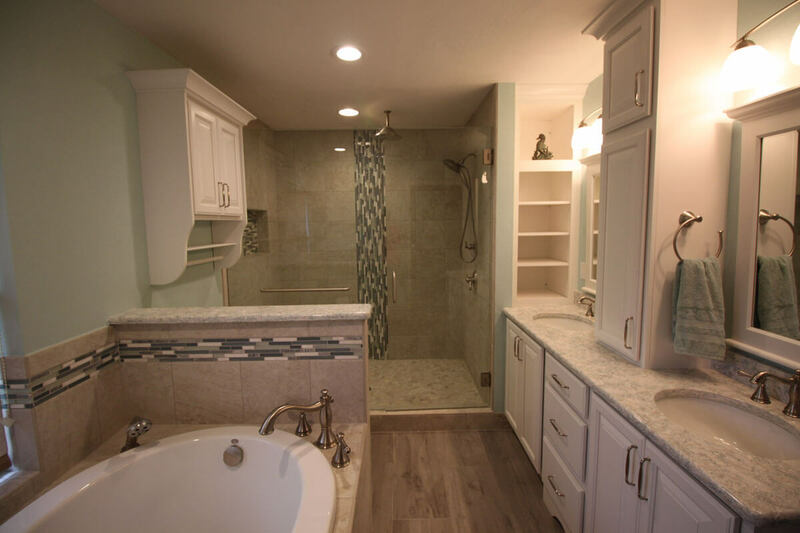 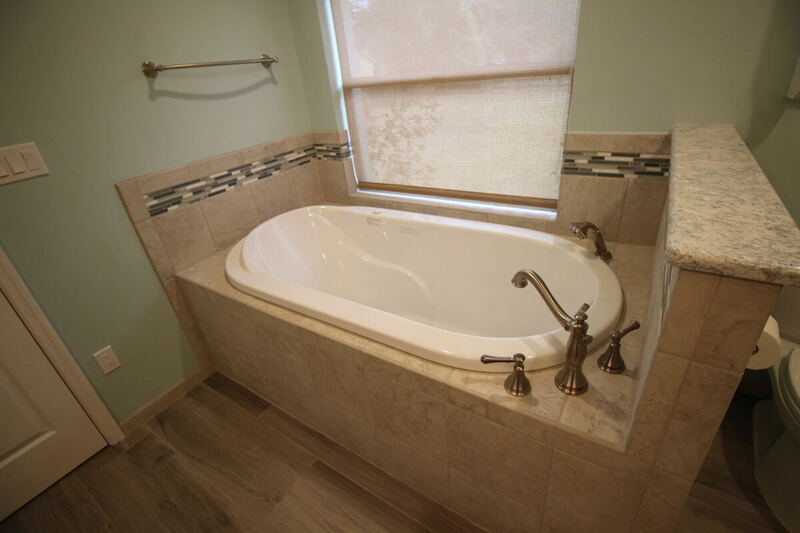 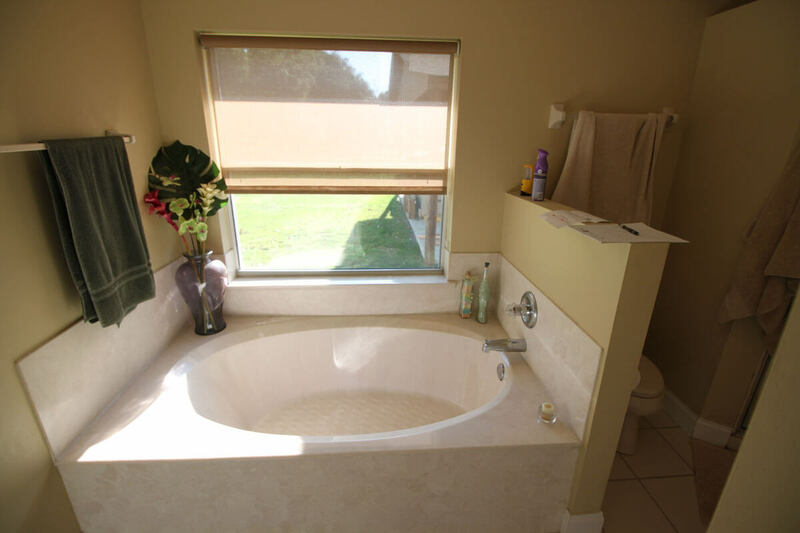 Quality DesignWorks recently completed this amazing bathroom remodel, taking a simple layout and expanding it to a bathroom of your dreams! 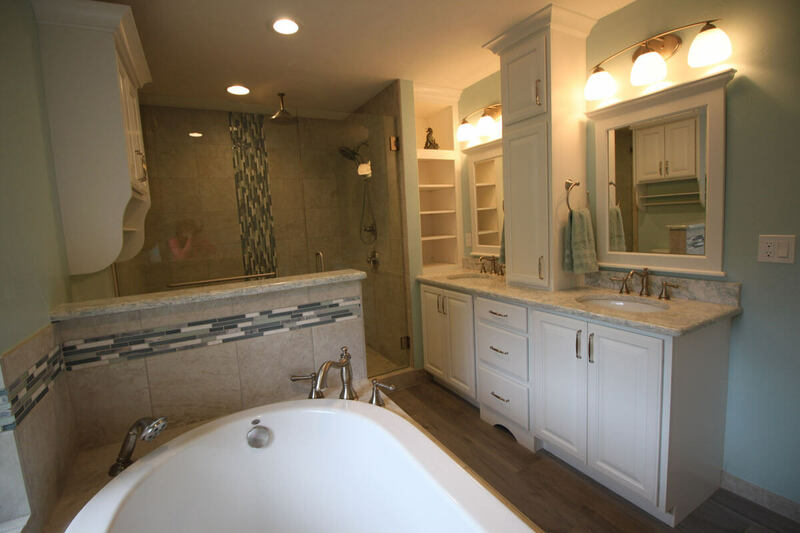 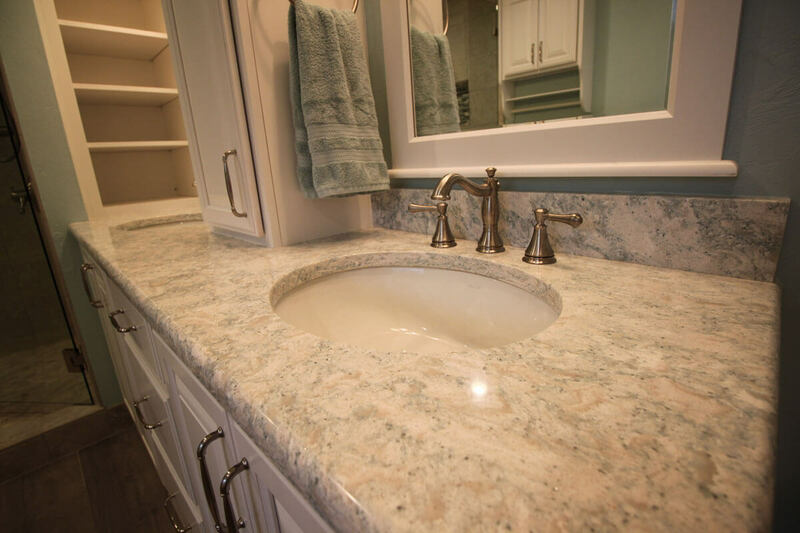 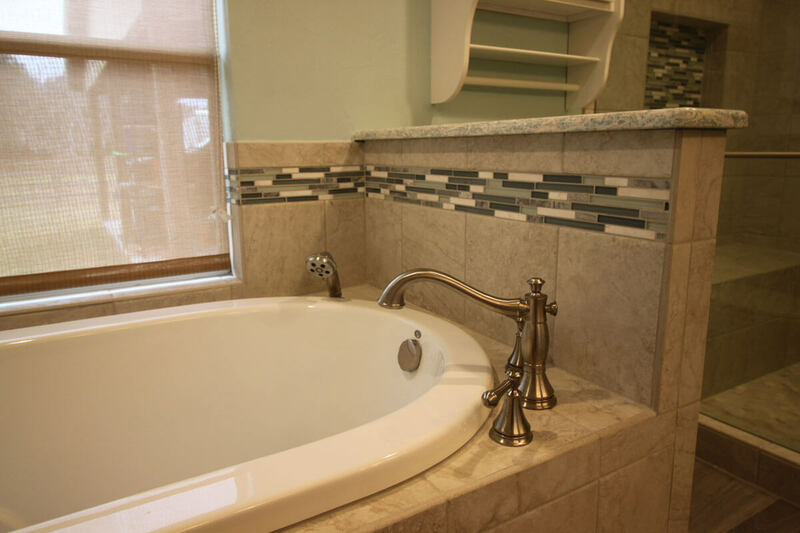 We utilized mosaic tiling for color splashes and accents on a neutral base, partnered with sleek cabinetry and marbled-looking countertops, to deliver an upscale feel that is balanced by the country hardwood floors. 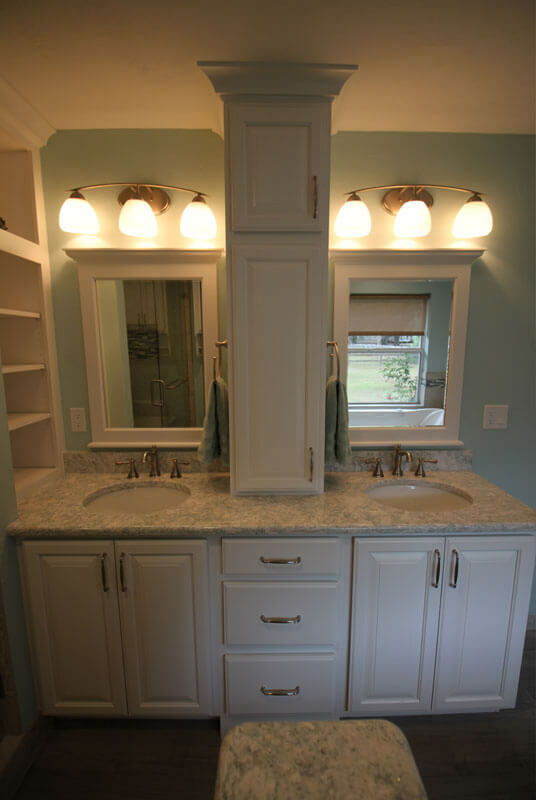 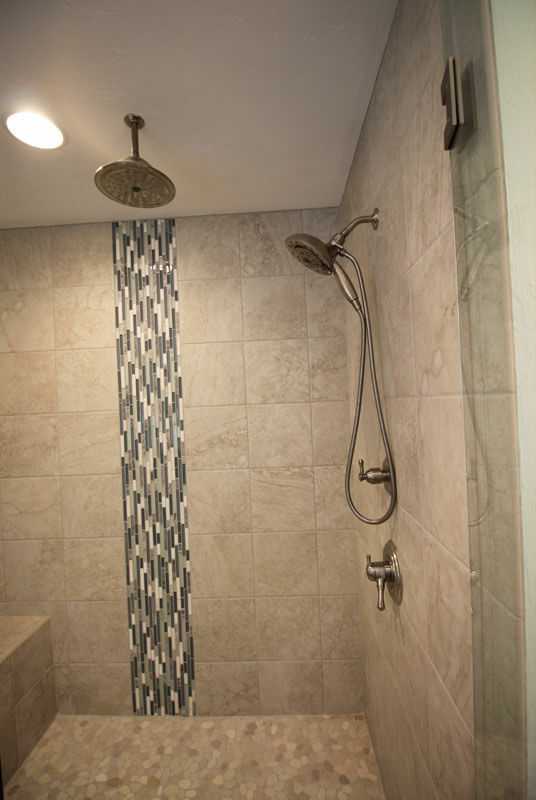 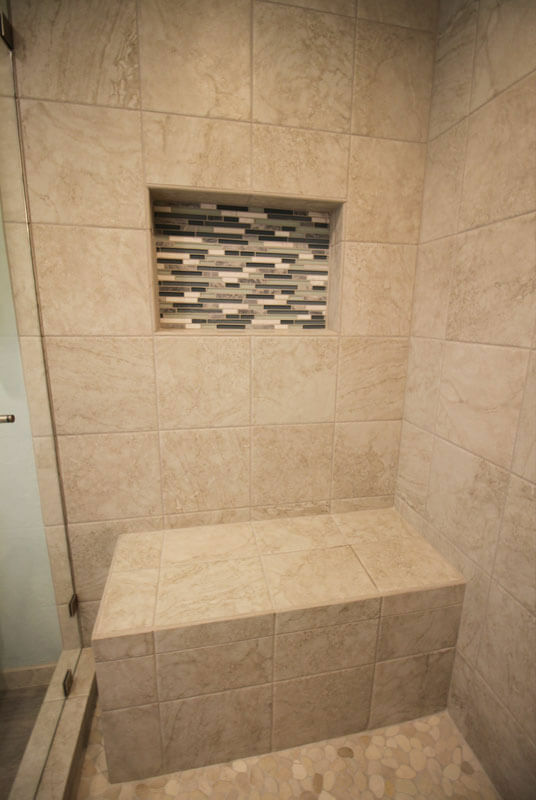 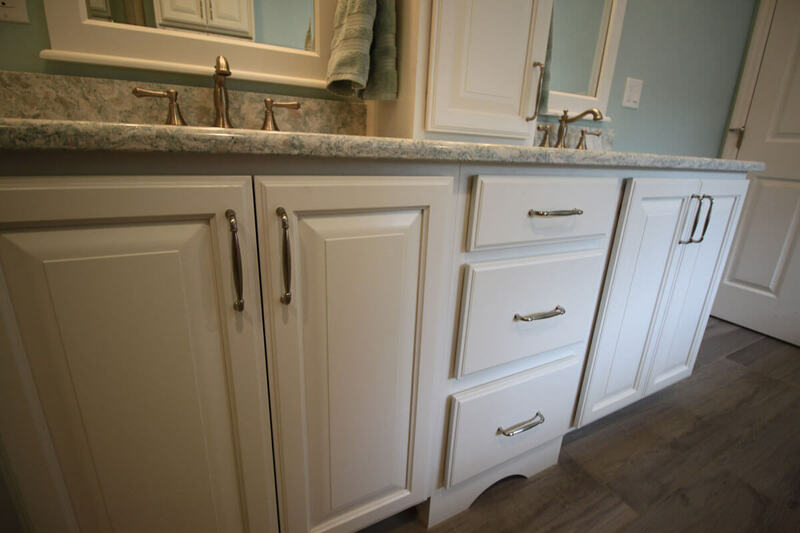 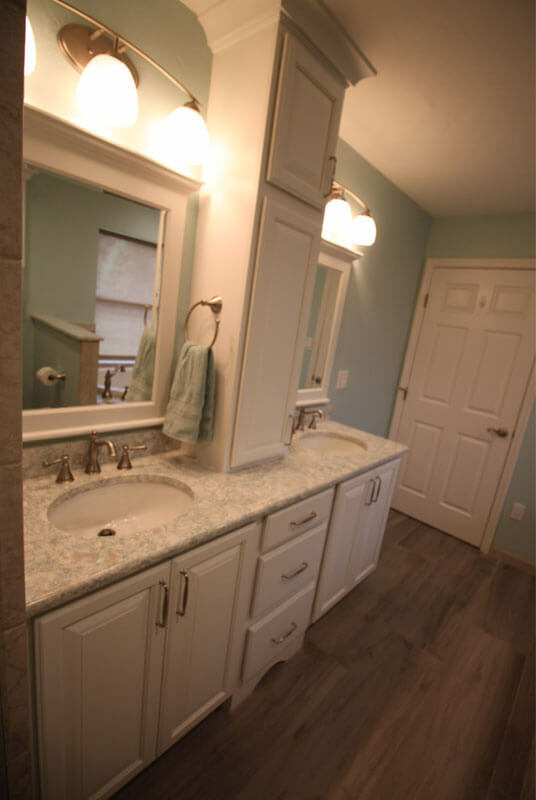 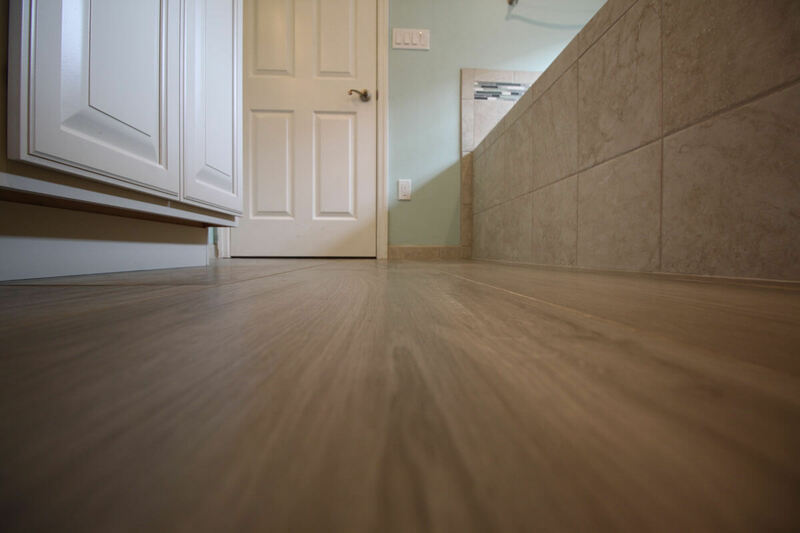 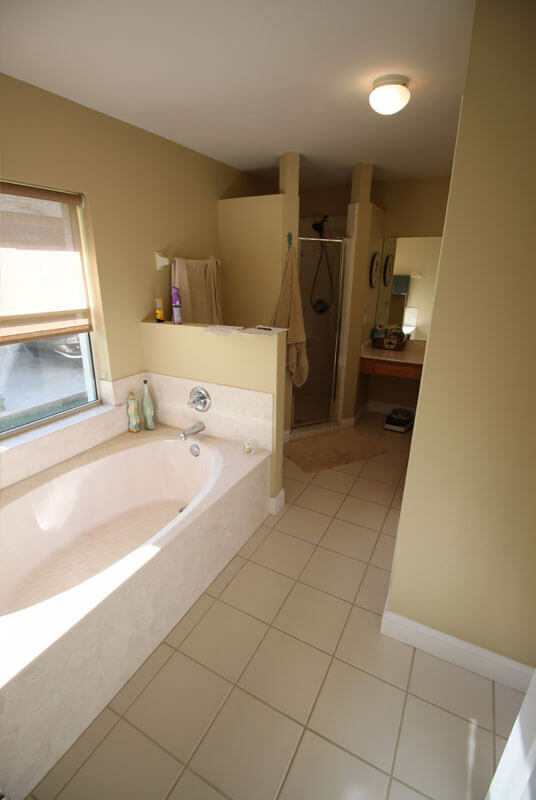 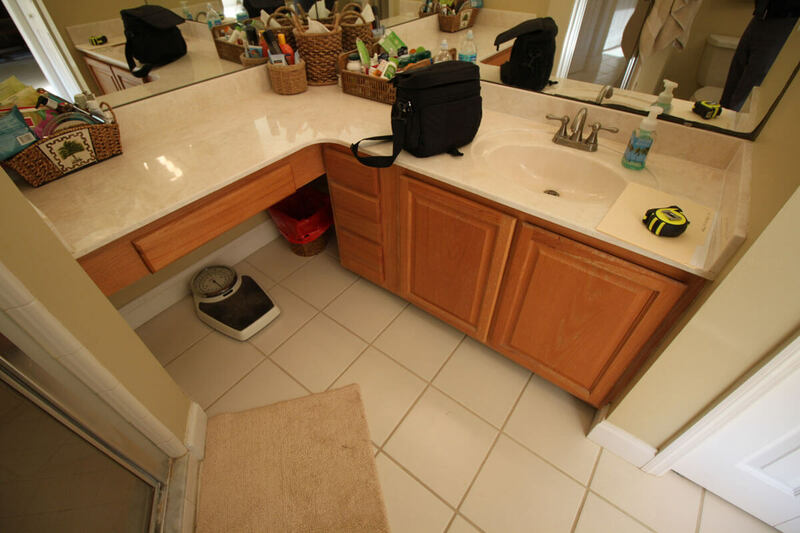 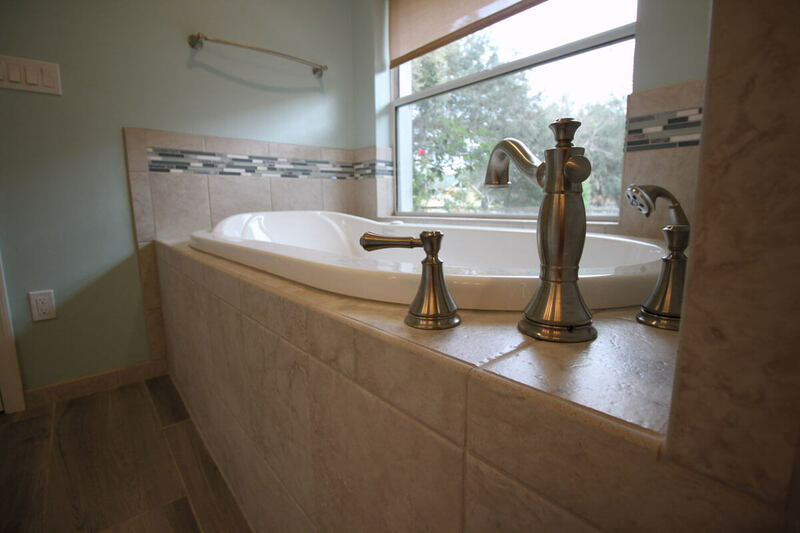 This Gainesville bathroom renovation proves that every room has potential — you just need someone to help you find it!